The most advanced ozone system for prepared water disinfection currently on the market. specifically for the “Bon Aqua” & “Dasani” brands. 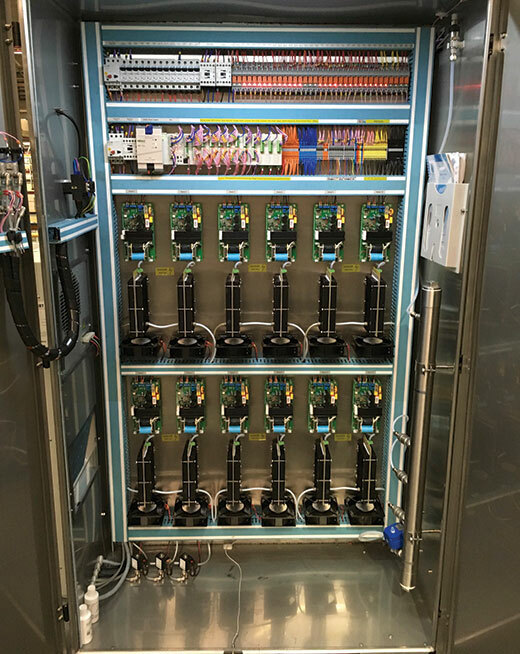 These systems are designed to meet Coca-Cola specifications for the disinfection of prepared water (Coca-Cola standards for Ozonation and Electrical Equipment), namely 4 minutes of ozone contact time at a level high enough to ensure ozone residual after bottling of around 0.5ppm, in order to achieve a 5 log reduction in microbiology. 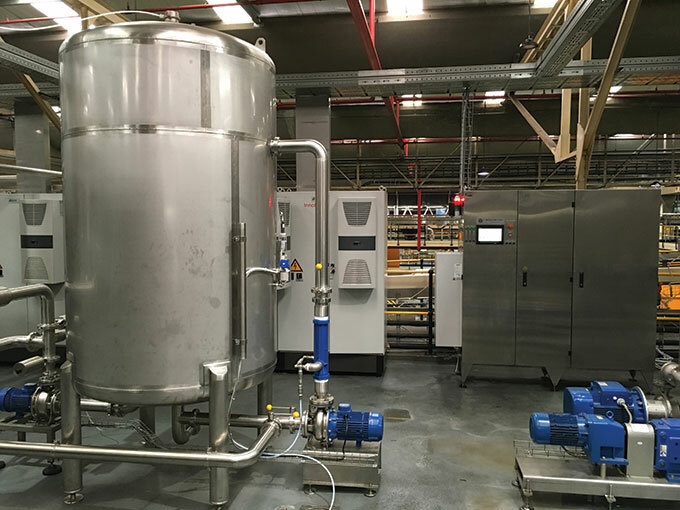 The Bright Blue product water disinfection system has been constantly improved and refined since the first unit was produced in 2001. The Bright Blue CCS complies with EU/ CE standards and conforms to the Coca-Cola Electrical & Mechanical Standards Specifications. 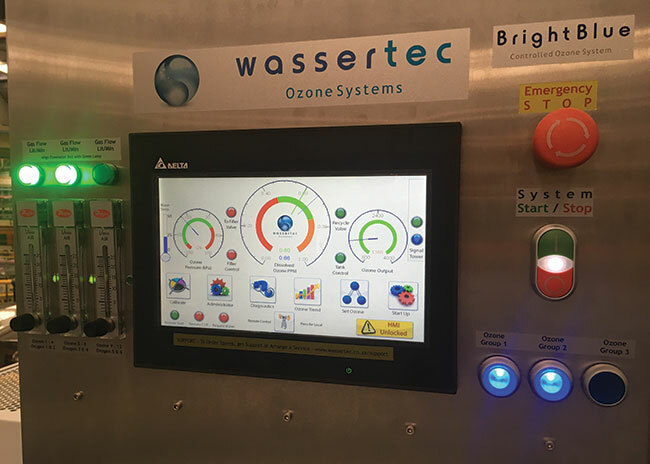 The water disinfection system is extremely easy to operate and features software developed by Wassertec. Only occasional interventions are required to calibrate the system against an ozone test kit to ensure correct ozone readings are displayed. 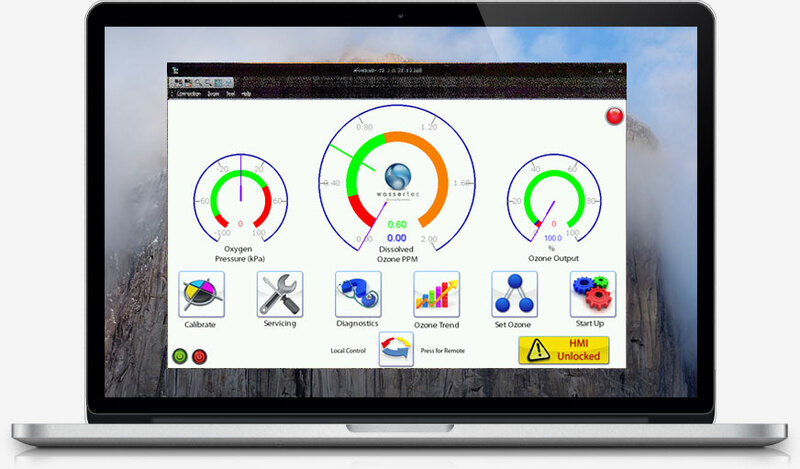 The product disinfection system features a diagnostic mode which allows the administrator to easily interrogate each of the system’s main components. It allows any of the major components to be run independently so that they can be verified. All Bright Blue CCS systems are climate controlled using built-in Seifert air conditioners. This further enhances reliability by keeping the inside of the system clean, cool and dry. 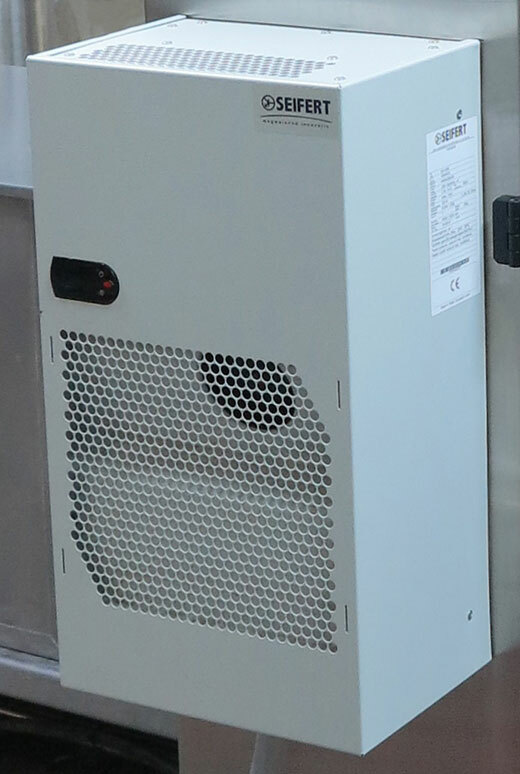 By preventing dust from entering the panel, the systems stay clean – ensuring that components last longer and allowing for easier maintenance. Most of our systems are installed in tropical countries with warm to hot climates and high levels of humidity. Systems are kept cool in order to work optimally under these conditions. The air conditioning keeps the electronics dry – preventing damp and moisture, ensuring that the electronics are always working at their best.